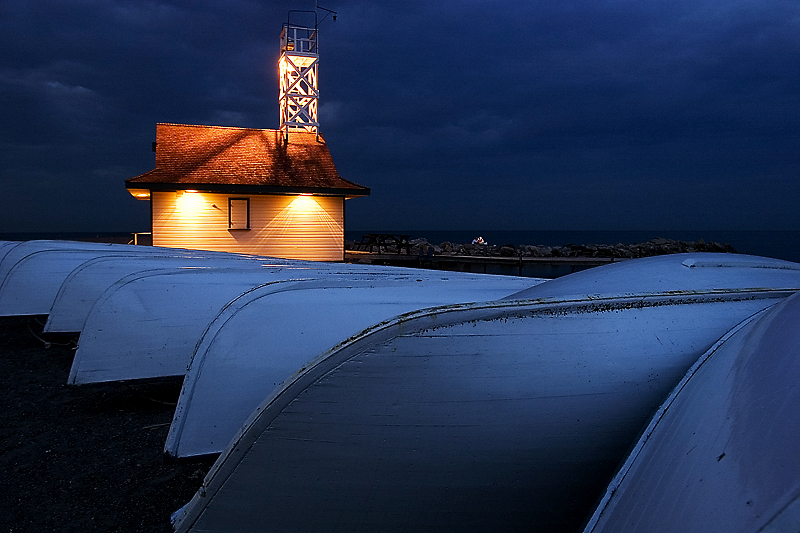 Don Toye took this great picture of a lifeguard house on one of the Toronto beaches in 2006. The pale rowboats look great in front of the illuminated house penetrating the darkness. Thanks!